If you are interested in getting started in BMX racing there is no better place than your local BMX track! There are 2 major sanctioning bodies that sanction BMX racing on a local and national level. The 2 organizations are the American Bicycle Association (ABA) and the National Bicycle League (NBL). 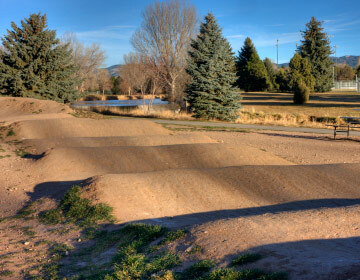 Our BMX Track Directory lists ABA and NBL BMX tracks located in the United States. For information on getting started in BMX or for local race schedules use our BMX Track Directory to locate the BMX track near you and contact them for more info. Good luck at the races! Please Send BMX Track Updates to BMXtra@aol.com.